Fibre is the hot topic for February with both FAB flour and NABIM running campaigns for #FibreFebruary, advocating the importance of fibre in our diets and how we can meet the daily recommendation of 30g. To support these campaigns ADM Nutrition shared some insights and advice with Food Navigator Magazine on how ADM products can enhance the fibre content of baked goods. – Click here for the full article. Does a high fibre message resonate with bakery consumers? Can you share any data to support this? According to the 2018 Food & Health Survey (IFIC, available online: https://www.foodinsight.org/2018-food-and-health-survey), 80% of US consumers surveyed considered fiber to be a health promoting nutrient, so clearly the health messaging surrounding the fiber message is resonating. Why then do so few consumers – as few as 5-10% of US adults – meet fiber intake recommendations (**reference below)? While the health message of fiber and whole grains seems well known to consumers, there remains a lot of confusion about what foods and food products are actually high in fiber. For example, many breads labeled “whole grain” are actually quite low in fiber per serving. Another factor to consider is the increasing popularity of trending diets (paleo, Whole 30, gluten-free) that might steer consumers away from bakery products and other grain-based foods that might be high in fiber. What are current levels of NPD around high fibre bread options? Is there an opportunity to increase this? For the past 5 years, high fiber breads have held steady at about 9-10% of all new bread products launched and show a 2% CAGR over that time period (internal ADM data). There are definitely opportunities to grow this market! Does high fibre messaging offer the bread category a way to increase premium sales? In a category that is quite commoditised, is it a way to differentiate? Absolutely! The high fiber platform offers great opportunities for innovation with exciting ingredients that are just beginning to be used in bakery applications. ADM’s VegeFull bean and pulse ingredients offer all the nutrition of beans – high in both protein and fiber – with the most neutral taste profile in the industry. VegeFull ingredients can add new dimensions of taste and texture to breads and bakery products while also enhancing nutritional quality – a win-win! VegeFull ingredients are also a great option for cost control that can add texture and visual appeal in combination with higher priced ingredients like nuts and seeds. Would high fibre focus drive incremental category growth? 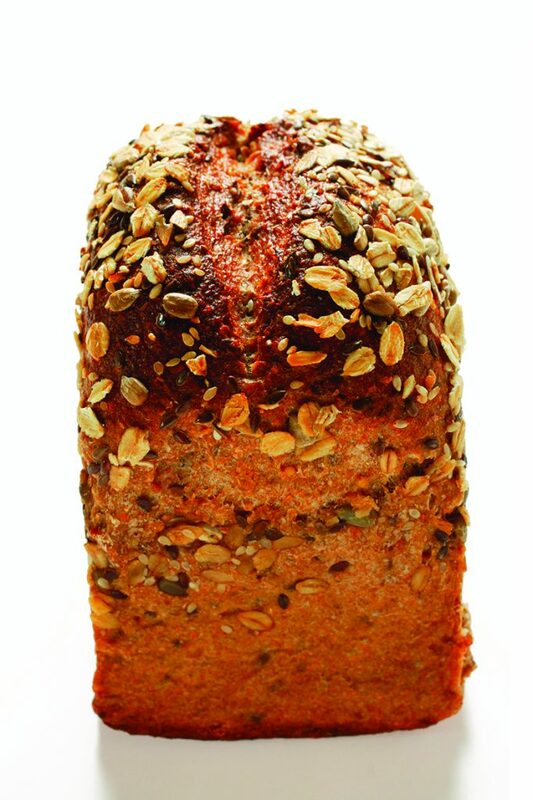 Historically, one of the biggest hurdles to mass appeal of high fiber breads has been taste and texture. Overcoming this barrier can be achieved with ingredients like ADM’s Fibersol, which is an FDA-approved fiber and can be added to bakery products without noticeable effects on taste and texture. As another strategy to broaden appeal and drive category growth, I think the high fiber focus could be combined with other messaging, especially given the increasing trend to limit what are perceived as “high carb” foods. This is where I see the opportunity for the inclusion of alternative ingredients like ADM VegeFull bean ingredients, as well as nuts and seeds. Combining the high fiber tag with a plant-based protein message could help to increase appeal of high fiber breads among consumers trying to adhere to specific eating patterns, especially those looking to increase consumption of plant-based protein.